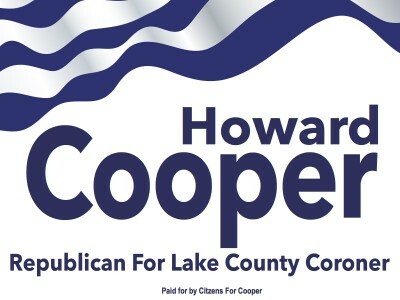 Republican State Central Committeeman Mark Shaw (C.D.10) today endorsed Dr. Howard Cooper’s bid for the Republican nomination for Lake County Coroner in next year’s election. In so doing, Shaw noted that “Dr. Cooper is an exceptional healthcare practitioner who will apply his professional expertise in medical forensics, his practical experience as a small business owner, and his passion for efficient and responsible government to turning around the Lake County Coroner’s office whose operations have been grossly deficient in all of these areas for over a decade”.